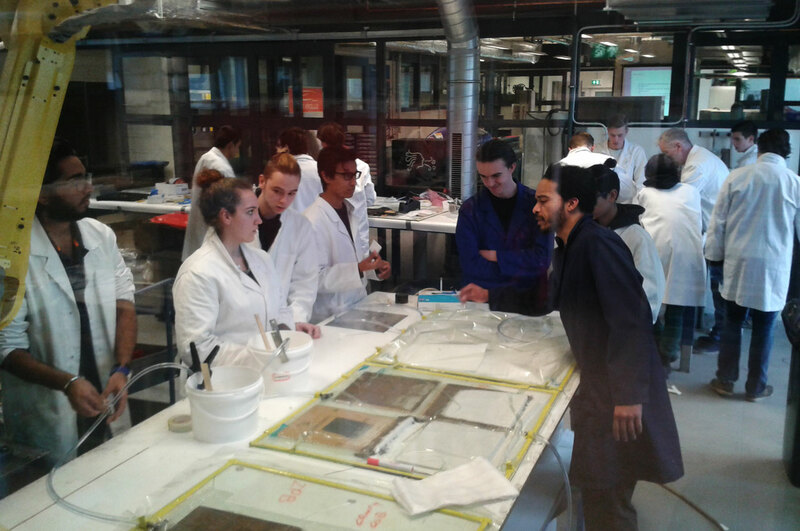 On January 26, 20 students from the ID College joined an introductory workshop on plastics and composites at Inholland Composites. After discussing the chemistry, strength and manufacturing methods for these materials, they moved to the lab to put theory into practice and manufacture their own composite products from a choice of fibre types and core materials. 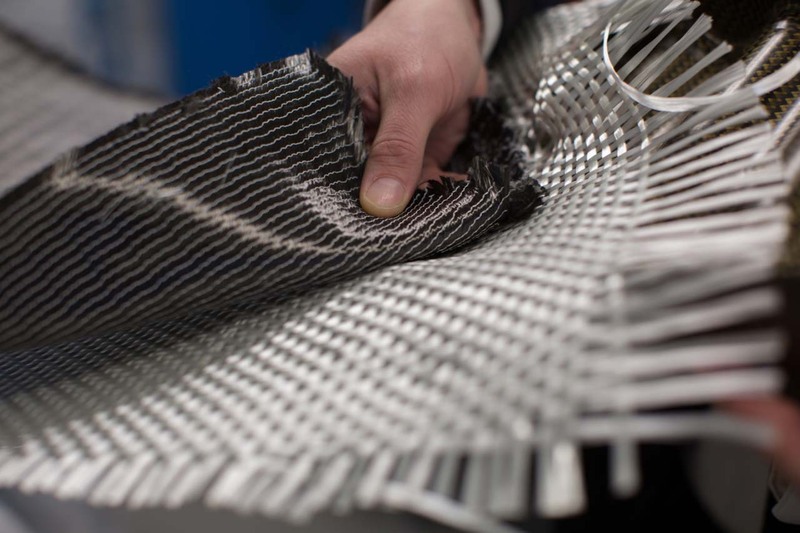 To complete the programme, they tested composite samples, where to their surprise they learned that a thin strip of glass-fibre composites (1.5x15mm) was able to support over 3 tonnes (30kN) of load. This workshop was part of the exploratory contacts between Inholland and the new Centre for Innovative Craftsmanship ‘Smart Technology’ in Gouda, where a new MBO-course will be set up involving ‘Satellite Laboratories’ in partner companies.